We’re kicking off the first bit of work that will allow us to better communicate with members and visitors via the website. This work will be done incrementally over the coming months. Ultimately it will work across the entire Stack Exchange network, but initial usage will focus on Stack Overflow. The overall goal of this work is to provide the product team a direct method for onsite communication with members and anonymous users in a way that is appropriate for the message being delivered. This means there will be unique designs that match the intent, priority and objectives of the message. We will be targeting our messages to the people who we need to communicate with. In some cases we will notify everyone on a site or the entire network, in some cases we will limit a notification to users of a specific product (e.g. Jobs or Channels) or a very small subset of a community with a particular problem (e.g. people who have a problem with their account). We know that some users may not be happy about seeing these messages. We will do our best to try to give you control by making messages dismissible. Please understand that better array of communication options are critical for our business in order to deepen user engagement. The first new notification you will see is for announcing new or significantly improved features. We call it the "new feature" notification (creative, eh?). Maybe some of you saw it for a brief moment on Tuesday. We had to turn it off after some bugs were discovered with the notification and the feature it was announcing. It will likely be turned back on tomorrow (Thursday 9/21). We are testing a couple variations of the interaction and dismiss logic. Our desire is to create something that stands out when it needs to, but goes away when it isn’t needed any longer. This is a work in progress and we appreciate your constructive feedback. Why are you shoving Jobs at me? I’m not interested! The “new feature” notification (from here on referred to as NFN) is telling you about new features or significant future improvements. These features could be for Q&A, Jobs, Channels or some future product area. This is NOT a feature to push users who aren’t interested in Jobs to Jobs. Why don’t you show the notification to only those who care? As mentioned above, there is a lot of work that we will be doing in the future to enable us to target these messages to just the right folks. In this case, we think the salary calculator is generally interesting even if you aren’t looking for a job. Also, we are hoping that people in regions where we don’t have data, will volunteer their data so that we can build out the calculator. For those reasons, we are notifying all our users. Why didn’t you use the inbox or community bulletin? Wrong medium: Inbox messages are highly targeted and relevant to you, not a general broadcast mechanism. Anonymous users: These notifications need to reach anonymous users as well as signed in members. Neither the community bulletin or the inbox currently work for those users. We're planning to redesign the community bulletin, but taking the current iteration of either to anonymous users is not in the cards. Aren’t you testing two versions? simply displays the orange NEW in the topbar. It would persist for the duration of the campaign unless you interact with it. When you click on NEW it displays the content bubble. After clicking the CTA or click dismiss it would go away. auto displays the content bubble. If you click on the X it goes away. We are going with design #2. It is a more direct and clean experience and it resulted in 350% more visits to the new feature. Users can dismiss a notification and you won’t see it again. This is a per-instance dismiss. You will see a NFN when a different feature is released. There is no connection between the email settings and on-site notifications. NOTE: The initial version required two clicks to dismiss permanently. It was my choice and it was wrong. My logic was to distinguish between two user scenarios: 1) let me carry on with what I'm doing and get back to this later vs. 2) get rid of this forever. My logic was wrong. We are fixing it so that clicking X will immediately dismiss. Clicking off or esc key will hide the balloon. THIS is what DAG is working on? The DAG team is working on a variety of projects simultaneously. I'm working on a post to update everyone on the work that is on ongoing and on the top of our backlog. And, we are coming back to the community with an update on how the mentorship experiment went (really cool stuff). What the heck, you’re announcing this thing three different ways! Currently there is the “new feature” notification and two items in the Community Bulletin that are promoting the same new feature. Each one plays a unique role. The NFN points directly to the feature, the blog post provides details, the meta post is where you give feedback. As mentioned, we are in the process of reworking the Community Bulletin (how we point people to important blog posts and meta discussions). One approach we will evaluate is to rationalize these things into one thing that points to the various components. This is the start of reworking some of the mechanisms that allow us to communicate with the community. It will include significant changes and minor tweaks. We don’t have it all planned out, but we certainly want all the parts to work well together. I hope these additional details help clarify some things raised in the answers/comments below. Active users on meta give us early indication of feedback from our most dedicated users. We treat that feedback seriously in the context of the over 3 million signed in users who visit the site each week and the over 50 million monthly visitors who visit monthly. Keep the feedback coming. As others have mentioned, I would very strongly prefer to see these notifications added to one of the places that already exist for housing notifications: either the omnipresent Community Bulletin on the right sidebar of all pages, as Tanner suggested, or as special types of messages pushed to the global inbox (where users are already accustomed to looking for new updates), as Stijn suggested. If this absolutely must go into the topbar as a dedicated new item, then my third and final plea would be that you reconsider its proposed location. 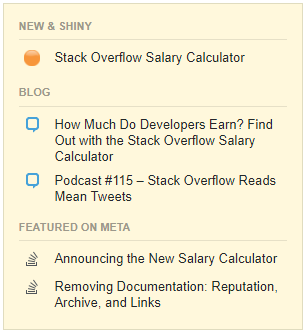 Where it's placed now makes it look like Stack Overflow itself is new—it looks like a "badge" on the Stack Overflow logo, much like the "Meta" badge that appears to the right of the Stack Overflow logo on the Meta site. It might help if you tweaked the design so it looks a bit more like a button, rather than a static badge, but I still don't think that's the correct approach. It's a notification, not a navigation link, and all notifications in the topbar go on the right-hand side. Please move it so it is among friends. On a positive note, I think it's reasonable to have a way for the company itself to reach out to and communicate directly with users, so I don't hate the idea. I also appreciate that you've taken the time to make it dismissable. I just think it could be better incorporated within the existing features and design. Just posting this in case anyone else was wondering. Why not just use the current sidebar for notifications? What are the benefits or doing the extra development work to add this functionality for announcements over the existing mechanism that people currently use? I'm aware that you have the extra information and the balloon, but presenting it in the sidebar would allow people that are interested to click through and get to that information if they choose to. With regards to communicating with the community, what will the new mechanism achieve over using meta as you've always done? I'm generally always logged in, so I wasn't aware of this, but as @Shog9 commented, you don't see the bulletin when you're not logged in. However, you do see the Blog links, so these kind of announcements could in theory live along side that content. First, it's not obvious at all that "NEW" is something I should be clicking on. Instead, it looks like Stack Overflow is new. Hooray...9 years late. I didn't click on it. I just assumed it was a badge thing. It also rolled out around the same time as the network wide top bar changes that I'd noticed on another site. I thought it had something to do with that. Second, now I see the same announcement three times. Just in case seeing it once or twice wasn't enough, there is now a third option. It's NEW! This is the biggest reason it feels completely unnecessary. 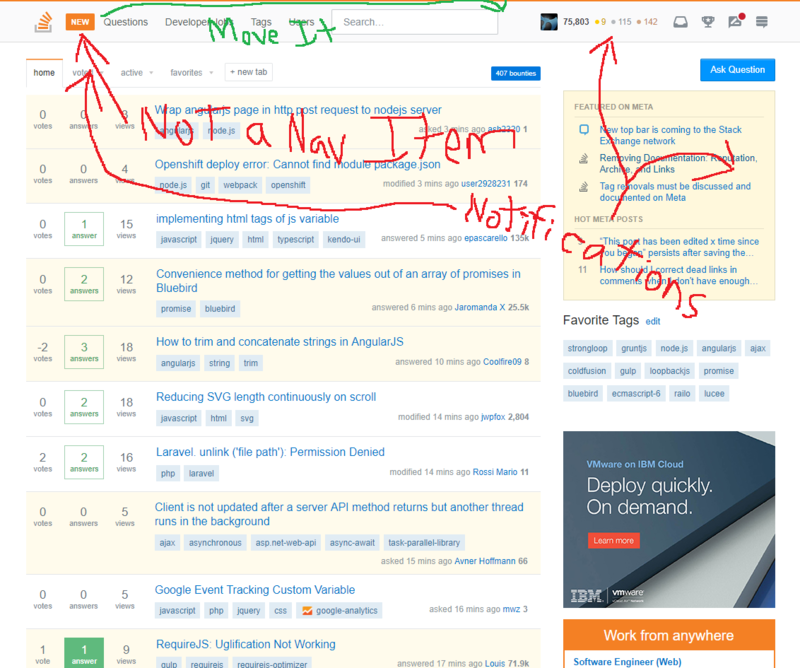 The information under that "NEW" button is already listed twice on Stack Overflow and once on other Stack Exchange sites. If I click on it and end up at the exact same spot either of the other two options provided me, I've wasted my time. Please understand that better array of communication options are critical for our business in order to deepen user engagement. The way it is described, this will be used for one way communication. 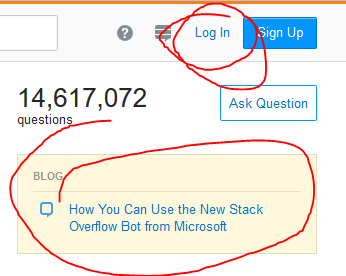 Stack Exchange to user(s). What user engagement metrics are you aiming to improve with this change? Prior to this answer being posted, there were three other answers. One flat out suggests you tricked them into clicking the link. 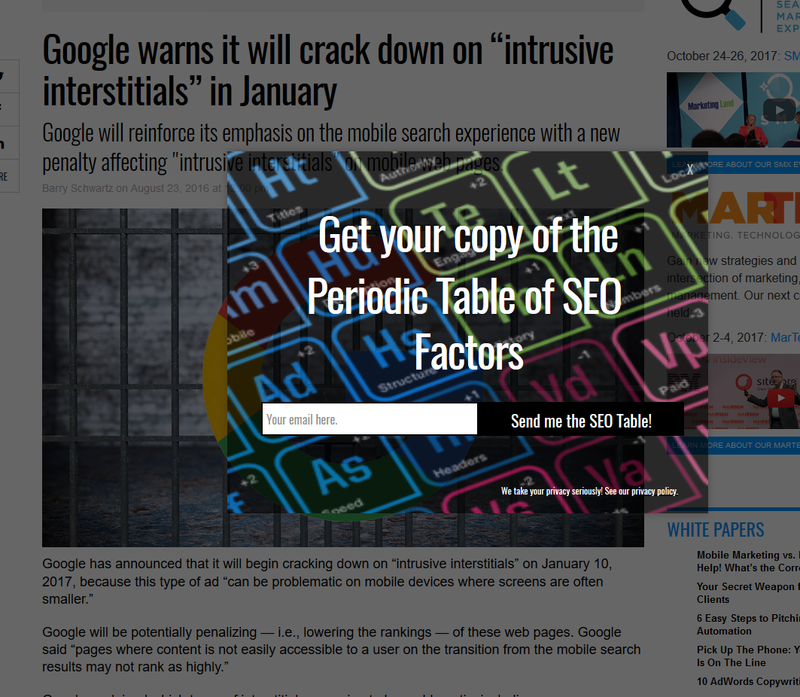 A second implies that accidental clicks will occur due to how this is manipulating the top bar. Neither of those statements sound like positive user engagement. Users are waiting with bated breath for the announcements regarding changes to the Q&A side that will help improve quality. That's the user engagement announcements many are waiting for. When I saw the NEW button, I thought, "Hey, they actually implemented something!" 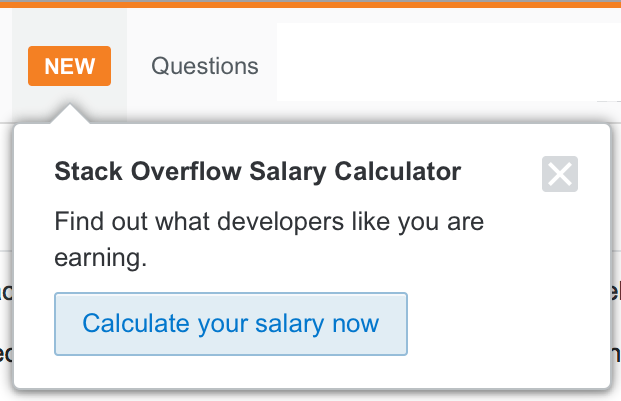 Then I clicked it and was disappointed to find it's the salary calculator, which is pretty much a Jobs ad. I felt a bit tricked by the NEW button, and also annoyed at the continued focus on Jobs at the expense of Q&A. If you want to show off a new Jobs feature, move the NEW button into the "Developer Jobs" section on the bar. At least that way I won't feel like you tricked me into clicking on an ad. As for the lack of focus on Q&A, just giving us a periodic progress report on what Team DAG is doing would help. SO's done the ask for suggestions, then ignore them thing before, so if you're not showing us anything, I'm not giving you the benefit of the doubt. feature-request Remove the NEW button. Apparently I missed this announcement and asked a separate question regarding removing the new button. I deleted the question, as I didn't know this one was available, and did not want to spread this all over the place. I see that apparently I was not properly using the feature. There is an [x] in the dialog box which opens after clicking the new button. Clicking the [x] will then remove the new button. However, this is rather counter intuitive. Perhaps it would be better if the new button itself had an X in the upper right hand corner, or if once opened it simply went away. As it stands now, if you select the new button, and look in there, then go somewhere else, it remains. This causes it to lose its reddish color for grey, however, it still remains indefinitely. From a UX standpoint that makes it rather hard to use. If the new button is visited, it should simply go away after page refresh. At the very least, move the 'NEW' icon to the right of the search bar, make the icon permanent, and make the icon far less noisy. Give it a red dot until it's been read like most other notifications. What we have here is an advertisement thinly disguised as a notification that is further disguised as a navigation item. I don't mind notifications. I don't mind advertisements. What I do mind is when advertisements are injected into my navbar. The fact that the salary tool was chosen for this test case proves to me that SO as a company cannot adequately discern the difference between an advertisement and a notification. This deeply worries me due to past actions involving political messages. If it's already being abused just in the test scenario, all hopes of it not being abused later are thrown out the window. The notifications on the right stay within the right column; Q&A on left side of the page, shiny things on the right. This allows me to easily keep focus on the areas of the site I am interested in. New/featured meta posts and blog posts in the bulletin, inbox notifications where they belong, no flashy review queue icon pressuring me into reviewing garbage posts, a far more productive environment for finding answers and answering questions. As far as blocking the new feature notification, I'd rather the notification be done in such a way that I don't feel the need to block it. I like finding out about new features, but I do not want that notification sitting right next to the link I click the most nor do I want a popup that I might miss by simply clicking the page. Keep the notifications quiet and to the right. I'd rather it be a permanent icon on the right side of the search box or in the bulletin where notifications like this belong. This seems counterintuitive and incongruent with the rest of the site design. If there wasn't this automated popover, I probably never would have noticed the new addition there (or only much, much later). SE has always been displaying new / interesting stuff on the right hand side of the screen, with HNQ and announcements and blogs and meta features being there. Why exactly add another bar? I'd think most people will probably not look on the left side for announcements when most of them have been on the right side for years now. I've seen many sites with this kind of "new feature" notification, and they're always a sign of designing for what corporate wants instead of for users, just as much as having a front page with a million links. If your new feature were actually relevant to me, I would discover it in the course of using your site, without you having to wave it in my face. If you want people to actually engage with your feature, not just do the minimum action necessary to improve your "engagement numbers", you need to show it to the user when it's relevant to them - and when I've just googled an unrelated question is not that time. The choice of feature to experiment with is really not a good one if your aim is user acceptance. As it happens, I already clicked through to the salary calculator when it was announced in the community bulletin. It doesn't work for me at all, because my skills are not listed. From the look of the discussion on meta, it only works for a minority of people. In all, my experience of this new feature was like this: I came to a question from Google. In front of the page I expected to get was a pop-up message, "Hey, use our new thing," for a thing I'd already tried to use previously and which doesn't work for me at all. Did you hire the person who invented Clippy? I don't know how else you could have arrived at an anti-feature so insensitive to user needs. I have heard from a friend who does not have an SO account that he gets this message nearly once a day. Not the answer you're looking for? Browse other questions tagged discussion notifications .